Weekend Offer : Get Flat Rs.500 Off On Flight Booking. for More Details Visit the Offer Page. Get flat Rs. 500 Off using coupon code WKND500. Coupon valid on domestic flight bookings only. Offer valid on minimum transaction value of Rs. 3000 only. Offer valid on Saturday & Sunday only. Coupon valid till 31st December, 2017 only. Coupon can be redeemed twice per user. Coupon cannot be clubbed with any other offer available at www.bigbreaks.com. 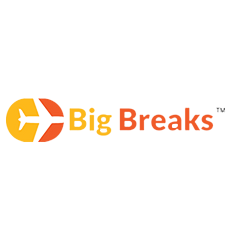 Big Breaks Coupons Code is Required to Avail this Offer.Hurry Up..! !